The weekend is here, and access to your chiropractor may be limited. The problem is back injuries don’t always wait for normal office hours. So, what do you you do if your back goes out, and it’s a weekend? The good news is, most back pain is caused by muscle and ligament strain or weakness, and may actually go away within 2-3 days without necessarily seeing a chiropractic doctor. Has not improved with rest, ice, and over-the-counter medications. Is severe (greater than 6 on a numeric pain intensity scale), OR lasts longer than a 2-3 days. Is the result of a significant slip, fall, or lifting injury. Try to do some form of exercise or physical activity every day. Regular, low-impact activities, like brisk walking or bicycling, can increase lower back muscle strength. We live in Ohio. Have an exercise plan for rainy weather. Treadmills or stationary bikes are as beneficial as outdoor exercises. Whatever exercise or physical activity you do, start slowly if you are just beginning to be more active. And, allow a day of rest in between to reduce the likelihood of injury. Take frequent breaks on car trips (at least every two hours) to get out, walk around and loosen up your lower back muscles. 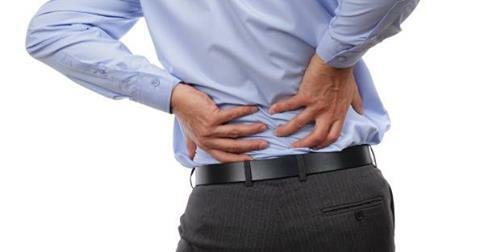 When you are sitting for long periods of time, support your lower back to maintain its natural curve. Take it easy but continue your usual activities if you can. Walking around every 30 minutes can help ease stiffness and relieve pain. Bed rest is NOT recommended. While sleeping, try lying on your side with a pillow between your knees. If you sleep on your back, place a pillow under your knees to relieve pressure. If you’re still having lower back pain, please contact us to set up an appointment.